I’ve got another fun Valentine to share today! I like to have a collection, with options when I’m in a bind. My girls still don’t know what they want to share for the big day, but you can bet they will be choosing from some of the treat toppers in the Valentine’s section of my site. 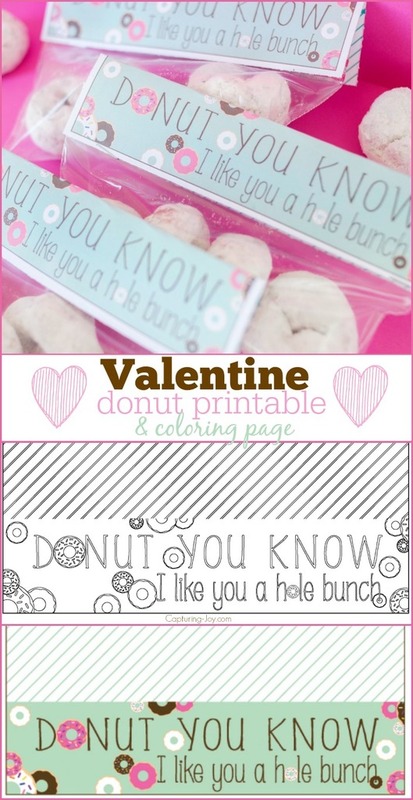 This Donut Valentine free Printable is a new favorite of mine. I LOVE the pint, pink, and touch of brown together. 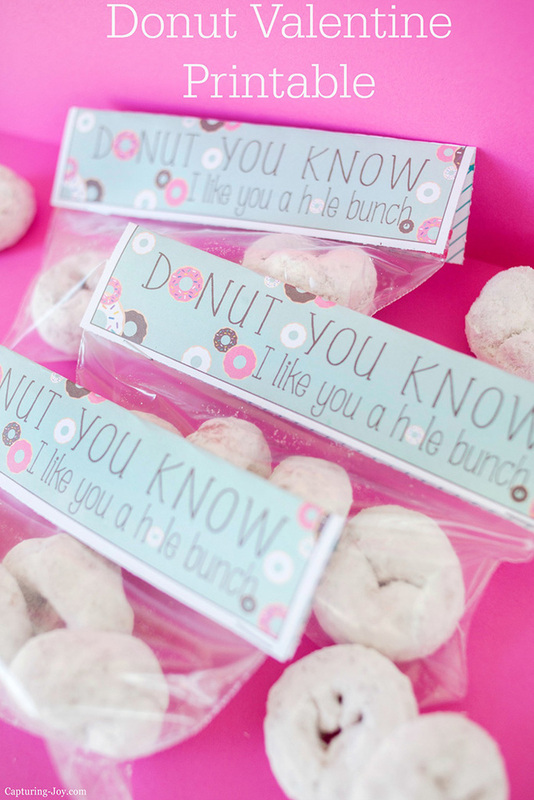 After grabbing a bag of donuts (my kids love the powdered version) you will likely have all of the other supplies at your fingertips at home. Just print, cut, and staple together. I’m sharing the full color version over at my friend Jamie’s site today, C.R.A.F.T. Head on over there to grab the mint green printable! But, TODAY, I’m sharing the Valentine Coloring Page version of the exact same printable. My girls love to color and make their own creations, so you’ve got options! Print it up now, or PIN IT for later!